A Visceral 3D Horror Tale Unfolds Before Your Eyes! 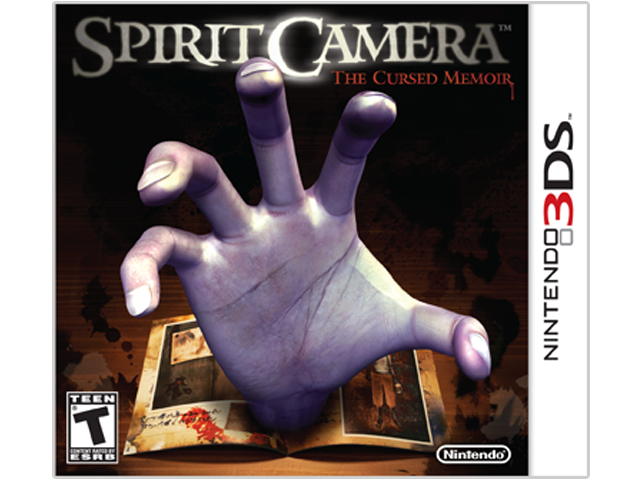 The Spirit Camera™: The Cursed Memoir game invites players to experience supernatural thrills they won’t soon forget, using the built-in camera functions and augmented-reality features of the Nintendo 3DS™ system. The game’s mysterious storyline involves a girl named Maya who has been hiding in the darkness of an old house, cursed by a malevolent woman in black. To free Maya from the curse, players must use the “diary of faces” – a 16-page AR notebook included with the game - to view ghostly images and interact with the world Maya is trapped in. The Nintendo 3DS system becomes the Camera Obscura in players’ hands and is capable of revealing the supernatural and dispelling evil spirits. The lines between reality and fiction blur in this chilling horror adventure.